Despite being on first name terms with the world’s best skiers and knowing most of its best slopes better than his own back yard, in April 2011 Bode Miller found himself shunting down the scrappy, unforgiving runs of Cannon Mountain in rural New Hampshire with a group of kids, stopping regularly to offer advice to those having trouble with their turns. This was the seventh annual Bodefest, and it raised over $30,000 for the multi-World Cup and Olympic medal winner’s Turtle Ridge Foundation – a charitable enterprise promoting environmental issues and offering recreational activities to disadvantaged children. It also brought America’s best-known skier back to one of its lesser-known towns. Cannon is part of the sprawling state park surrounding Franconia, a diminutive settlement of barely 1,000 residents encircled by forests and once home to the hardy rural poet Robert Frost. In 1977 it also welcomed Samuel Bode Miller, whose semi-wild childhood has been the subject of countless articles attempting to explain the unconventional man he grew into. Bode’s parents famously shunned the trappings of modern life; he and his siblings were raised in a cabin without electricity or plumbing, cooked on a wood stove and celebrated solstices. Bode was home schooled until the age of nine and expected to help out with chores, but he spent hours of every day wandering the forests surrounding their home, developing a natural philosophy in which seizing the day was central. By the age of four Miller had taken that attitude to the slopes of Cannon Mountain. Too small to be taken under the wing of the local ski bums, too stubborn and speedy to join children’s teaching groups, he skied alone day after day, season after season, and in doing so developed the unconventional style that remains his trademark: leaning back rather than forward as he barrels down the hill, all six-plus feet and 200-odd pounds of him straddling the knife edge separating control from chaos as he performs tighter turns than most would think possible. It was an approach that even in his youth brought him into regular conflict with traditionalists, who warned that his career would flounder unless he refined his technique – arguments he encountered first from coaches on the local ski team and later at Carrabassett Valley Academy in Maine, a school famous for turning talented skiers into polished Alpine performers. They were arguments that Bode studiously ignored – convention wasn’t in his vocabulary, and he ruffled feathers at Carrabassett both on the slopes and off them, refusing to rewrite papers and shouting down a teacher who wouldn’t let him into the high school prom wearing sandals, and eventually leaving with a certificate of attendance rather than a diploma. Yet it wasn’t long before Bode had an opportunity to prove the wisdom behind his refusal to conform. He remembers his first World Cup in 1997 as the turning point: despite a starting position almost at the back of the 71 racers in the line-up, Bode careened down the mountain with trademark disregard for decorum and managed to place 22nd – an unthinkable achievement for an American rookie. His coaches urged him to tone it down for the next run – all he needed was a safe finish to protect his points – but Bode, true to form, ignored them, screaming down the hill even more recklessly than before. He finished the competition in 11th place, forcing the conservative US Ski and Snowboard Association to grudgingly admit that they might have a prodigy on their hands. An overnight thing it was not. 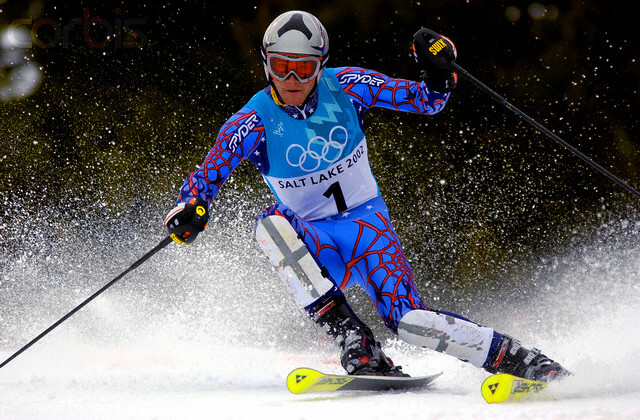 It wasn’t until the 2002 Winter Olympics in Salt Lake City that Bode broke into the public consciousness, cementing his status as the sport’s rebellious rock star by winning a silver in the combined before flying to LA to shoot the breeze with Jay Leno, then jetting back to SLC and scoring another silver in the giant slalom. And he sealed the deal with his own Cool Runnings-style cinema ending after going for gold in the slalom, skidding out early and – instead of calling it a day – hiking up to retake the gate, revealing a humanity and a sense of sporting dignity worth more than any haul of medals. But if it was his raw humanity that made Bode a national hero in 2002, it was also what saw his stock plummet at the Turin Olympics in 2006. Buoyed by one of the largest publicity campaigns in the history of professional skiing – his face having graced the covers of international magazines, his outspoken opinions the subject of heated debates between those who loved him and those who loved to hate him – Bode failed to perform. Of the five disciplines he entered, he crashed out of two, finished fifth and sixth in another two, and was disqualified from one. All of which might have been forgiven were it not for the rumours of his having whiled away the evenings drinking in bars: he spoke at the time of ‘partying and socialising on an Olympic level’, comments that compounded frustration at a previous interview on 60 Minutes in which he flippantly boasted of having skied as a youth while intoxicated. Bode admits that it was a PR disaster resting as much on his attitude as his failure to bring home medals, but he remains unapologetic. Regardless of public perception, the experience of Turin left a lasting mark on Miller, who after successful 2006 and 2007 World Cup tours left the US team to race independently as part of his own Team America – a move he ascribes to having long wanted to put some of his own management theories to the test, though it’s hard not to imagine a degree of relief in shaking off the nation’s expectations. Bode had early success with Team America, winning six events in the 2008 World Cup tour and being crowned overall champion for the second time. 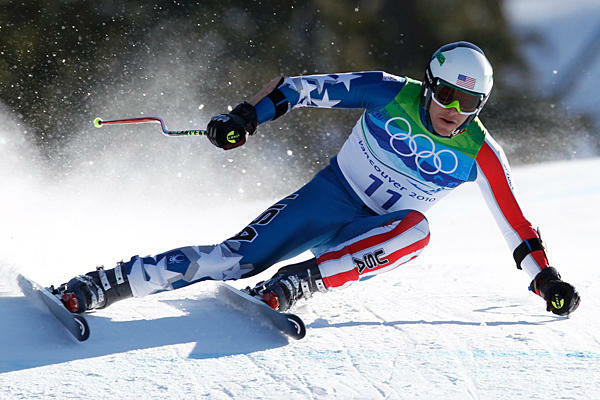 But by 2009 it seemed that Bode had hit a wall, reaching the podium only twice and taking a four-week break from competing between February and March. Even Bode himself admitted in an interview that a fire had gone out somewhere along the line, compounding suspicions that one of America’s most dramatic sporting stories had sputtered ingloriously to a close. Or so it seemed until 2010, when he returned to the US team in time to compete in the Vancouver Olympics. Miller’s detractors passed it off as yet more bluster and bravado, practicing their smug faces for what they felt sure would be another PR disaster. But they were to be disappointed: it was a more measured and mature Bode Miller that stepped out on the slopes of Vancouver, and a more thoughtful and thankful one who finally went home with three medals to add to the cabinet – including the elusive gold. Spiteful headlines about ‘Miller Time’ were replaced by those celebrating ‘Miller’s Crossing’; the reckless boy wonder, it seemed, had grown up. And to an extent that remains true. Bode has found a degree of balance in a life that previously thrived on extremes: he has a young daughter, whose wellbeing is now his biggest priority, and he dedicates more time than ever to addressing environmental concerns through his foundation. As for skiing – only time will tell. Miller has repeatedly confounded idle speculation as to his abilities or intentions, which suggests that the only thing to do is sit back and await the next chapter. 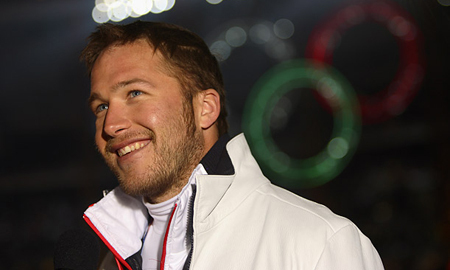 Because one thing seems certain: Bode Miller’s story hasn’t run its course quite yet.